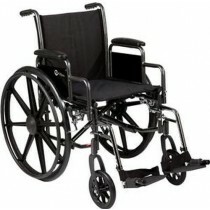 Lightweight wheelchairs are wheelchairs designed to be transportable, foldable and easily maneuverable. 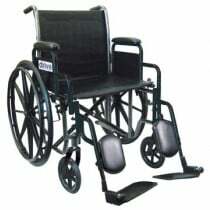 Many lightweight wheelchairs for sale have qualities such as removable back wheels, removable footrests and flip up arm rests. 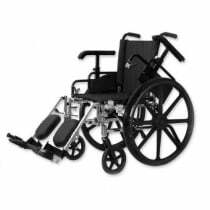 These features allow a caregiver or loved one to easily fit a lightweight portable wheelchair in a car trunk for transporting. 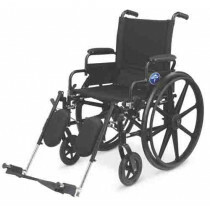 Lightweight wheelchairs are usually used to make mobility easier whether that means using the chair for long distances or short distances when moving in and out of the chair often. 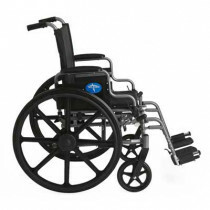 Lightweight wheelchairs are designed with both the caregiver and the rider in mind. 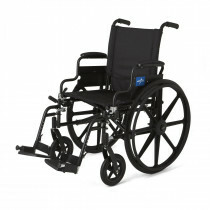 there are features to help accommodate both individuals in these chairs. 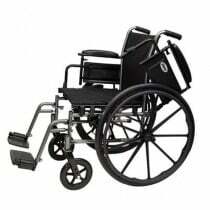 Many can still be self-propelled while some are usable only as transport chairs. 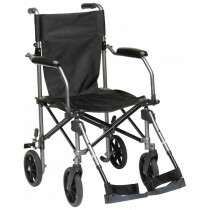 The self-propelled chairs are designed like standard chairs but are made from lighter material and are more portable when folded. With these chairs it is important to keep in mind who will be using them and why. 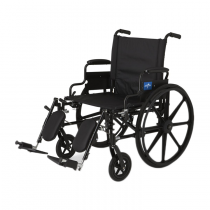 If they are meant to be a permanent transportation option for a rider to move from one point to another, like a house to a car, then a compact folding chair would be a good option. 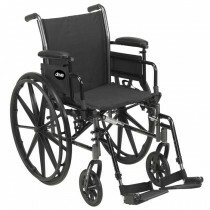 If this is meant to be a temporary mode of transportation, for example to rehabilitate an injury, then the configuration and features of the leg-rests may be important. 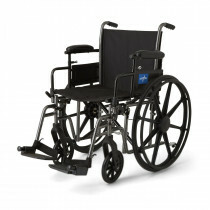 These wheelchairs don't sacrifice all features. 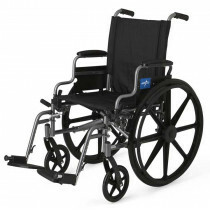 Most of these chairs can have swing-away footrests, side panels, and adjustable armrests. One of the Economy chairs in this class, like the < a>, has a height conversion along with its other features. 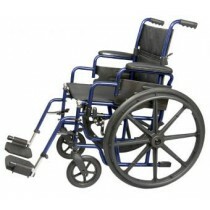 Having a lightweight folding wheelchairs for travelling that fits your needs may also demand higher weight capacity for large patients or wheel locks. 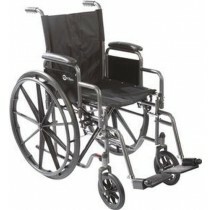 Removable arm rests or a wheelchairs that can act as both transport chairs and self-propelled chairs are also available. 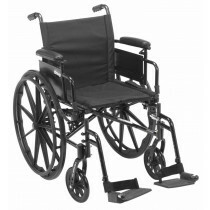 Some light weight wheelchairs are designed for a very specific riders in mind like the Drive Medical Reclining Wheelchair which is valuable if the patient needs their legs elevated or back and head lowered. 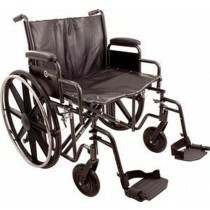 There are some upgrades available for all wheelchairs which help make them more comfortable for the rider. 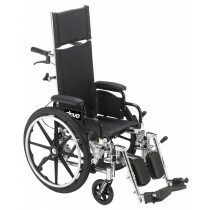 One example is the ROHO Back System which replaces the current back of a wheelchair to improve trunk/pelvic support for the rider.